Obituary for W.R. Burruss | Bill Head Funeral Homes and Crematory, Inc.
William Rex (W.R.) Burruss, Jr., age 83, of Lilburn, passed away on Friday, April 12, 2019. Funeral services will be held at 3:00 pm on Sunday, April 14, 2019 at Bill Head Funeral Home, Lilburn/Tucker Chapel, with Rev. Deborah Carlton and Rev. Jim Landis officiating. Interment will follow in the Luxomni Baptist Church Cemetery in Lilburn. A native of Lilburn, W.R. retired from the freight industry and later retired as a bus driver with the Gwinnett County School System. He was a member of Harmony Grove United Methodist Church in Lilburn where his family has attended since 1927 and where he enjoyed working with the kids in the youth program. W.R. was a member of the Boy Scouts of America for over 60 years. He was active in Troop 100 in Lilburn where he was a scout leader and a member of the Order of the Arrow and where he still enjoyed participating in activities when he could. Among many places, W.R. was well known at the Chick-Fil-A in Lilburn, eating there at least once a day. However, what he enjoyed most was spending time with his beautiful family. When asked recently what goals he had, he proudly said that he had accomplished them all. 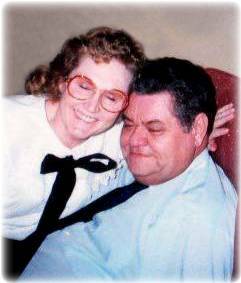 W.R. was preceded in death by his wife, Pauline Alldredge Burruss, and his children, Ricky Lynn Burruss, Terry Lee Burruss and Barbara Gayle Cole. He is survived by his children, Linda Joyce Pamir of Buffalo Grove, IL, Sheila Diane Matthews of Douglas, David Rex Burruss of Atlanta and Elizabeth Denise Farmer of Lilburn; 17 grandchildren and many great grandchildren; his brother and sister-in-law, Don and Jean Burruss of Lilburn; countless other friends and family members. The family will receive friends Sunday prior to the service from 1:00 - 3:00 pm at Bill Head Funeral Homes and Crematory, Lilburn/Tucker Chapel, (770) 564-2726.